These posters feature iconic machines from the Star Wars universe. 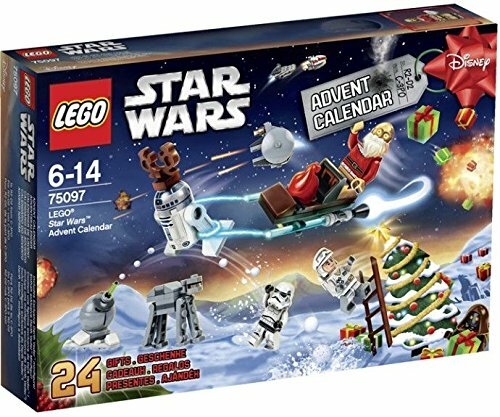 They are drawn in blueprint or schematic style and make a great conversation starter for any fan of the popular intergalactic saga. The AT-AT poster is in true blueprint style with white text and images on a blue background. 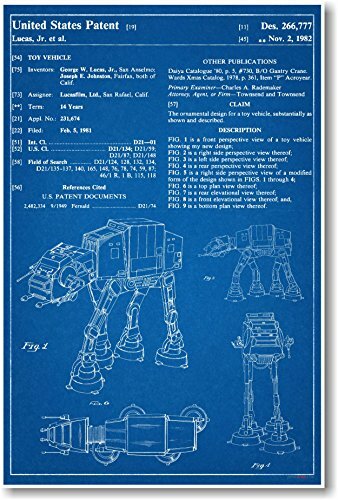 This is a schematic for an AT-AT toy patent and includes George Lucas and others credited as the inventor. The Imperial war machine is shown from several different angles in this awesome Star Wars poster print. 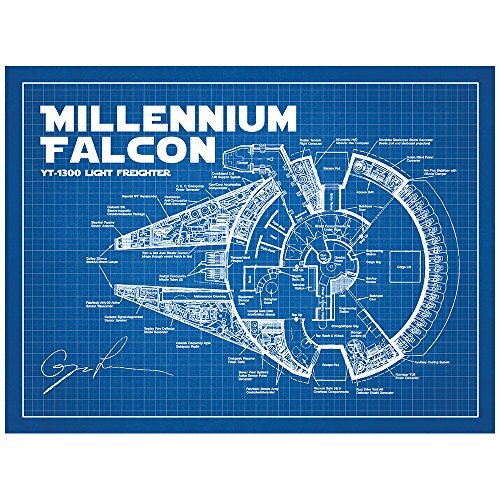 The Millennium Falcon blueprint poster shows details all around the space vehicle on a blue grid background. Details including cargo lift, bunks, head, and two escape pods are marked on the poster that has a copy of George Lucas's signature in the lower left corner. This great print is avaiable in other color combinations but the white on blue looks best if you ask us! 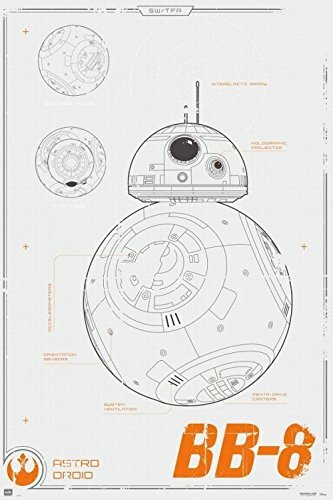 The BB-8 poster features the darling astromech droid from The Force Awakens in schematic form. See details about the round robot in simple black and white with orange text labels. 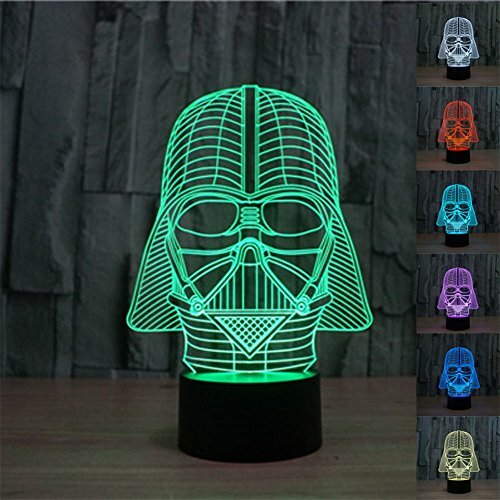 Pick up these posters to add some Star Wars inspired decor to your room! 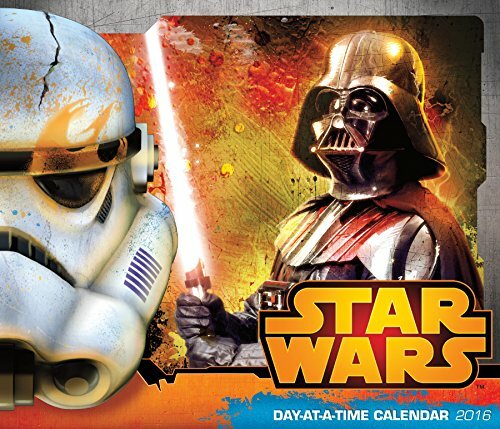 These affordable posters make great gifts for Star Wars fans, too.